← New Nagler: ‘Just Come Home’: Who is Martha? Trying a little local online advertising. Testing, testing, testing. The fun part is getting to interview myself. And we reporters used to accuse politicians of making up quotes. Ha! 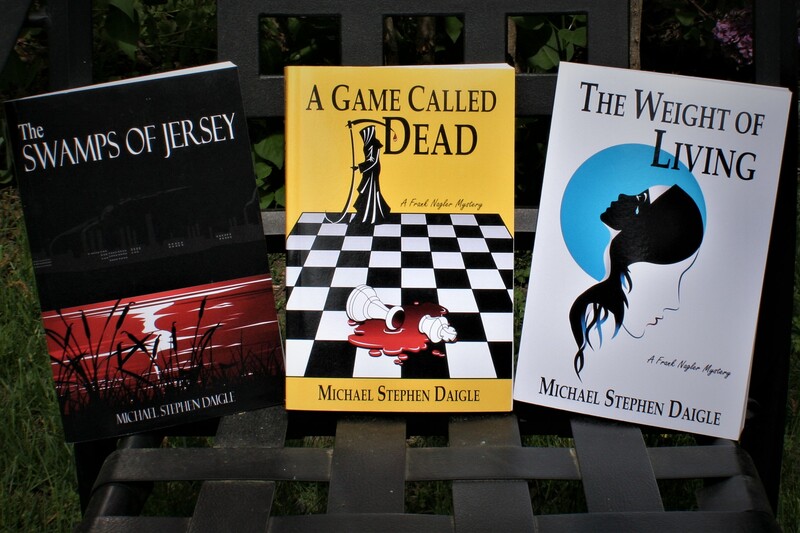 This entry was posted in BooksNJ2017, Fiction, Greater Lehigh Valley Writer's Group, Hot in Hunterdon; Georjean Trinkle, Imzadi Publishing LLC, Michael Stephen Daigle, Sally Ember, www.michaelstephendaigle.com and tagged "A Game Called Dead", "The Swamps of Jersey" Imzadi Publishing, "The Weight of Living", Fiction, Frank Nagler, Ironton, Morris County, New Jersey. Bookmark the permalink.